After a bit of a hiatus from blogging and photographing, I have just returned from an epic, although short, trip to the South-West of Western Australia with something to share. Sugarloaf Rock is one of my favourite spots to photograph around Dunsborough, and a few days ago I had the opportunity to photograph it at sunrise. It was windy as anything, but I was determined to get the shot. After scrambling around in the dark to find a composition, I found this angle and set up my gear. I fired off just a few frames and packed up my gear. This was one of those times when I was confident I had something special. 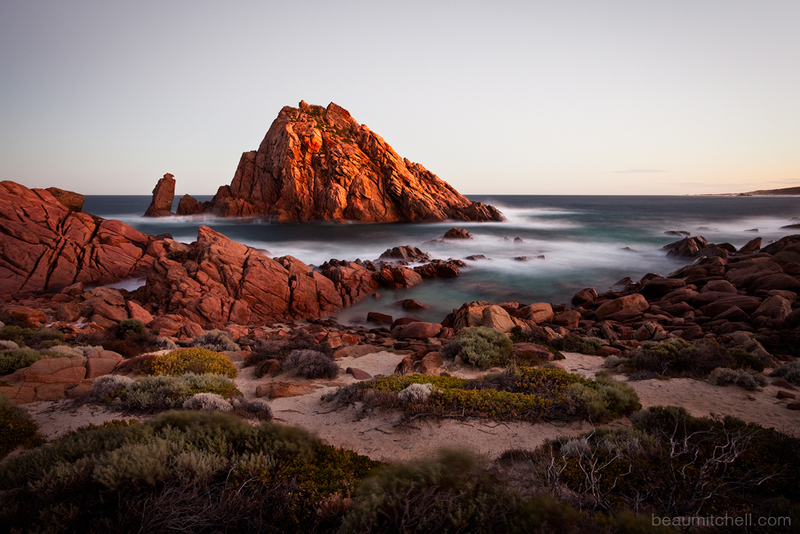 I also shot some photos of the surrounding areas – Meelup Beach, Wyadup Beach, Cape Naturaliste, Canal Rocks. These photographs will be uploaded to the galleries shortly.